Whilst being a proud pet owner makes us happier and healthier too, for many of us, long hours at work, small rented flats and tight financial budgets means that owning our own pet is just not feasible. But, thanks to the latest phenomenon, there is now good news for animal lovers. The global movement of pet cafes has now taken full force in the UK and there are more now than ever popping up in various locations. In the UK, there are 13.5 million of us that have pets. It is no secret that we are a nation of pet-lovers. Out of this number, 24% of us own cats and 26% own dogs. With this growing love of cats comes the expansion of cat cafes. The first cat cafe originated in Taipei. The Cat Flower Garden opened in 1998 and curious local residents soon discovered the feline paradise. Due to tall tower block buildings and strict rent controls, many residents were unable to own pets of their own, so the cafe was a welcome place for them to relax after work. Tourists soon took the idea over to Japan and it is now thought that there are over 40 pet cafes in Tokyo alone. Japan has vastly overtaken the original concept, with rabbit, goat and owl cafes being in high demand. One cafe, Fukuro no Mise (“Shop of Owls”) has a waiting list of over 2 months. In the UK, there are currently 15 cat cafes that are open to the public. Lady Dinah’s is the longest running cat cafe in the UK and is in the heart of London. Here, you can enjoy afternoon tea and hot drinks just minutes away from the busy hustle of the city whilst playing and cuddling with some furry friends. In Manchester, The Cat Cafe is home to 10 cats who provide a welcome break from the day-to-day stresses of life. Located in the thriving Northern Quarter, the cafe is in amongst some of the best bars and places to eat in Manchester and is a huge hit with nearby students who receive a special student discount as a way to encourage them to visit and enjoy some stress-free time. Across the UK, dog cafes and bars have been popping up in an attempt to rival the success of cat cafes. Whilst some dog cafes are residential, where visitors without their own pets can come and visit, the majority of locations encourage owners to bring their own dogs and have tasty treats on offer for the both of them. A lot of the trendiest bars, cafes and restaurants in cities such as Newcastle, Liverpool and Manchester offer tickets for pop-up dog-friendly events or “Yappy Hours’ during the week and welcome dogs. It can be a struggle for a lot of dog owners to find a place to unwind at the weekend or after work where their dogs are welcome and the increase in dog-friendly places is having a dramatic effect. These bars often offer three-course menus, for both pups and owner, and encourage those who don’t own a dog to visit too. Amongst the most popular are pop-up dachshund and pug cafes, where owners bring their four-legged friends and meet up with other dog lovers. At one pop-up event at Cafe Sobar in Nottingham, the event was sold out and over 200 dachshunds and 700 people visited the event. Not only were hot drinks and snacks served, but pupcakes and pupuccinos were created for the sausage dogs. The venue has organised some more pop-up dog events this year which are tailored towards other dog breeds, so no need to worry if your pooch has missed out! A lot of these events raise money for local charities and community, often donating a large chunk of the money to local animal shelters. 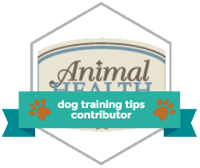 As well as encouraging like-minded people to connect with one another, it also has a positive influence on the pets and owners who can get tips and interact with one another. I love taking my dog to the pub. Most the craft beer places round about here are dog friendly and even provide some treats for the dogs. A new place in Ashburton, Devon has opened that specialises in doggy ice-cream! Ideal for summer treats. Yes – it is https://www.houndofthebaskervilles.co.uk – a real trreat for any luck dogs in the Dartmoor area!